FIFA 16, if I may invoke a broad stereotype, is a game that has perhaps a bit more appeal amongst the members of our UK team than it does with those in the US. But they're not here right now, and so it falls to me to deliver the game's system requirements, as recently revealed by EA. Don't worry, I'm Canadian. You can trust me. So there you have it. 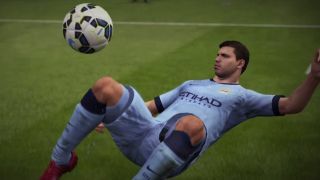 We talked about what's coming in the latest version of EA's long-running soccer (that's right, I said it) sim in an interview with Lead Gameplay Producer Aaron Hardy last month, which you may enjoy here. FIFA 16 comes out on September 22.